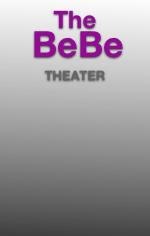 The BeBe Theater is a cozy and intimate black box theater (69 capacity). The BeBe belongs to the Asheville Contemporary Dance Theatre; most of ACDT’s shows are created and premiered in this venue. The theater is also rented out to other arts organizations for their performances. The BeBe Theater is a very busy place with over 100 performances a year. It is located at 20 Commerce Street in downtown Asheville.